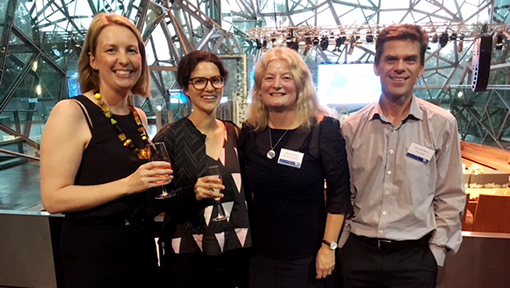 Malaria researcher Kerryn Moore has completed a prestigious double as the winner of awards for Public Health and overall Excellence at the Victorian Premier’s Awards for Health and Medical Research. Ms Moore’s research on the impact of malaria in pregnancy on birth outcomes in Asia, undertaken at Burnet Institute, has influenced World Health Organization (WHO) guidelines on treatment. Ms Moore completed her PhD under the supervision of Burnet Deputy Program Director, Maternal and Child Health, Associate Professor Freya Fowkes, Professor Julie Simpson (University of Melbourne), and Professor Rose McGready of the Shoklo Malaria Research Unit, Thailand. “Kerryn’s research has had major implications on WHO best practice for the control, prevention and treatment of malaria in pregnancy,” Associate Professor Fowkes said. Ms Moore won from a field of 17 finalists shortlisted for award categories in the areas of basic science, clinical, public health and health services research. The category award winners receive $5,000 each and Ms Moore, as the Excellence Award winner, receives an additional $15,000. The awards were presented by the Victorian Health Minister, The Hon Jill Hennessy MP, at a ceremony at Federation Square. Burnet’s co-Head of Adolescent Health, Dr Peter Azzopardi was a nominee in the Public Health category for his research into the health of Australian Aboriginal and Torres Strait Islander Adolescents. 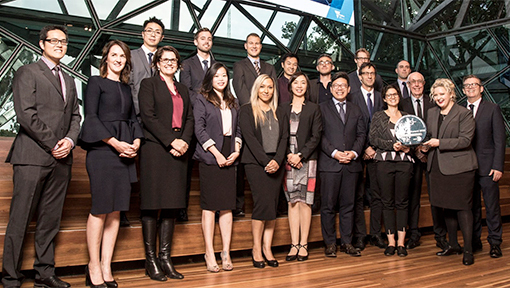 Since 1995, the Premier’s Award has been awarded annually to recognise the exceptional contributions made by early career health and medical researchers in their PhD studies.